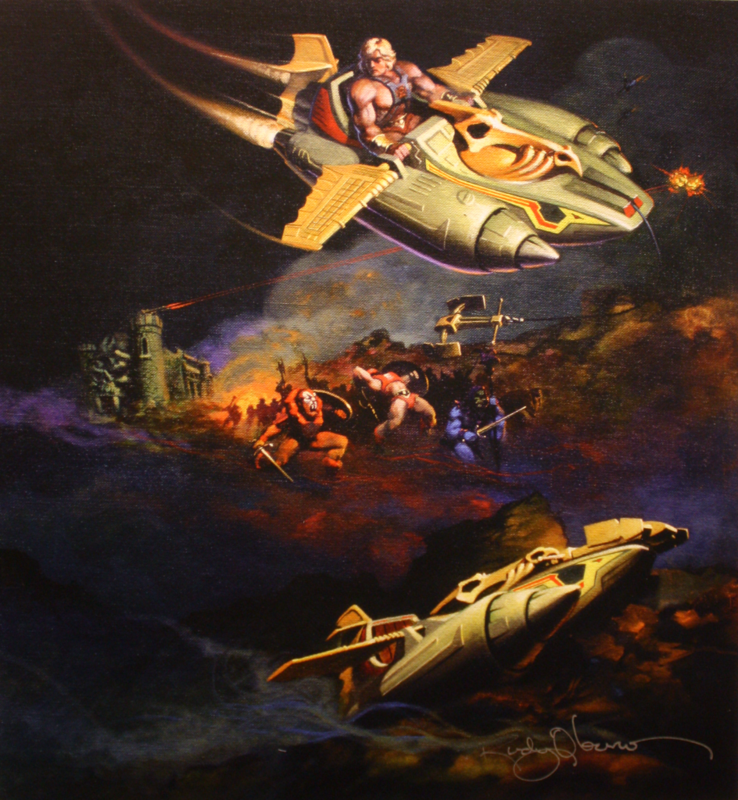 Rudy Obrero was one of the first illustrators to work on the Masters of the Universe toyline. 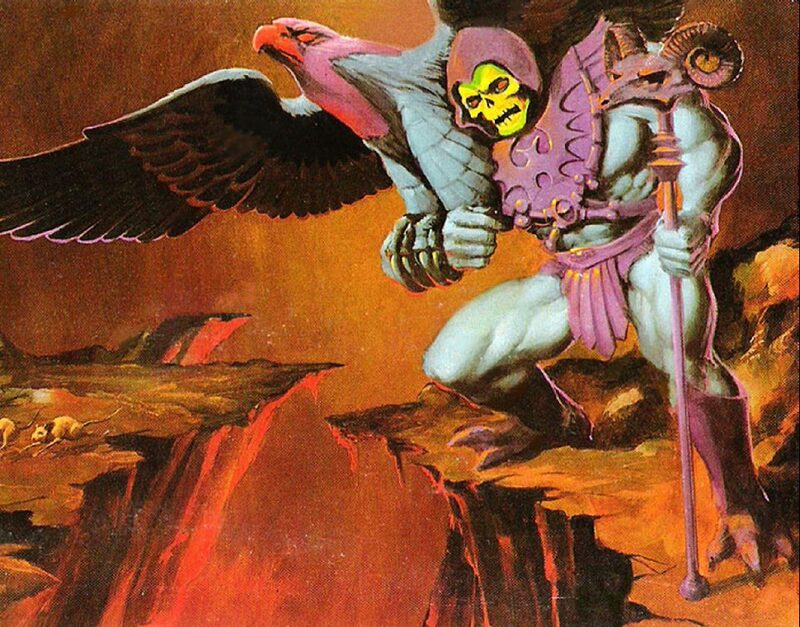 He created the iconic packaging artwork for many beloved MOTU toys, including Castle Grayskull, Battle Cat, Wind Raider, Battle Ram, and others. He has been a professional illustrator for 39 years. Many thanks to Rudy for taking the time to answer my questions! Battle Ram: Growing up, were there any artists you admired and wanted to emulate? Rudy Obrero: I grew up reading comic books by the tons. I liked them all. I kinda thought the DC and Marvel comics were well drawn. I thought the best drawn comics were the classics like Edgar Rice Burroughs’ Tarzan series. Funny coincidence, one of the illustrators for those was a guy named Rudy Obrero in the Philippines. No relation. BR: How did you become a professional illustrator? RO: Long story short – I didn’t start drawing till I was 19 years old. At the time I was in the Air Force stationed on Guam in the middle of the Pacific Ocean. My job was loading bombs on B-52 Bombers flying missions over Vietnam. Trying to fight boredom from being on a tiny island I went to the base hobby store and bought some drawing pencils and a sketch pad. In my off time I started drawing things around me and that became a habit. Just before I got out of the Air Force I was stationed in Riverside, California, where by chance I ran into the art director of Capital Records. I had no idea there was whole field of art that was not involved with gallery or fine art. I asked him, “How do I become an art director?” He told me to check out a couple of art schools in Los Angeles. So I go to speak with a counselor at the Art Center College of Design. Now another coincidence, the counselor is from, of all places, Guam. He was very helpful to me because we bonded talking over Guamanian good times. From there I chose illustration as major and the rest is history. This year makes 39 years an illustrator. Whew. 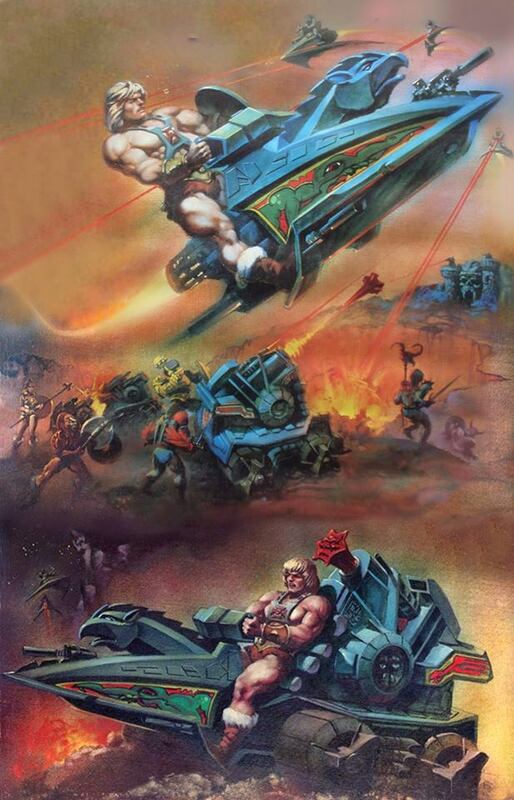 BR: What are some of the highlights of your career before you got involved with Masters of the Universe? RO: I worked on movie posters for most of my career. 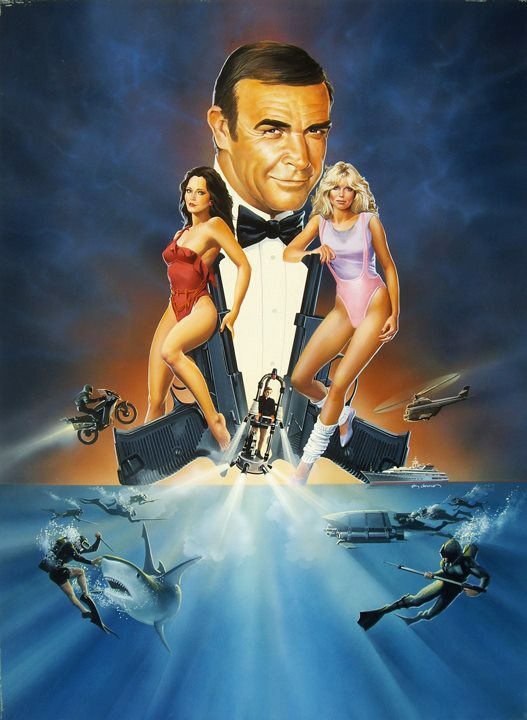 I did the poster for James Bond – Never Say Never Again. It’s a milestone for me because I read and loved all of Ian Fleming’s bond books in High school. I can’t remember which ones I did. I have painted so many projects. Every once in a while someone sends me an image of an old poster that I did that my memory barely recognizes. Here’s my website: http://rudyobrero.com. I can’t even remember what’s on that – ha ha. BR: How did you get involved in the Masters of the Universe toy line? 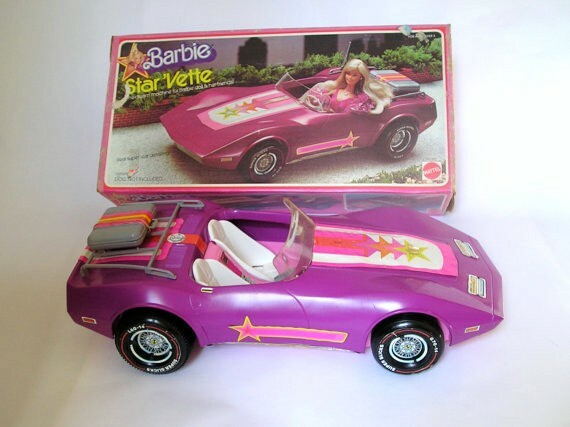 RO: Would you believe my first job for Mattel was Barbie’s Star Corvette Package? Prior to that I was painting a lot car races, crashes and explosions for action movies. So someone there wanted me to do the Corvette. Then soon after I got a call from Mark Taylor to do some “Frazetti” (his words) type of packaging. It was like, let’s not totally do Frazetta, but sorta like maybe “Frazetti”. That’s how it began. 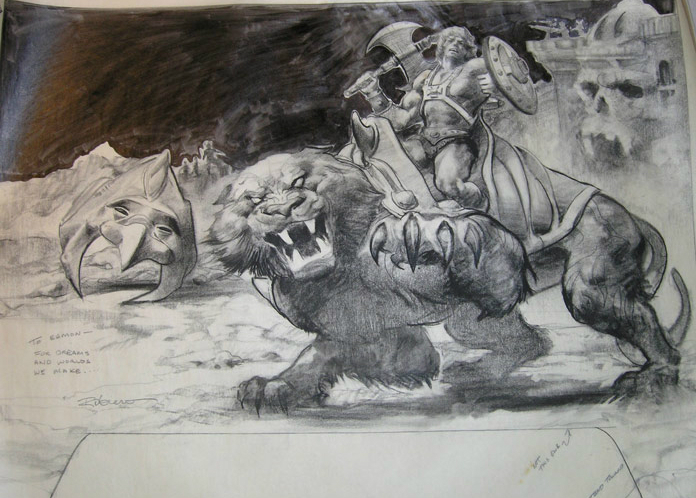 To be clear, I love Mr. Frazetta’s work. If you look at my body of work you will notice that the only time I went “Frazetti” is on the MOTU stuff. And because it was a fitting style for it. BR: Did you deal primarily with Mark Taylor? What were your impressions of his involvement with the line? RO: I started with Mark then it became a string of other art directors I can’t recall their names. Seems there was a change after every box. Mark was the most enthusiastic and the most fun to work with as he gave me a ton of leeway creatively. People got more controlling as I went on. RO: Nope, I think that’s it. 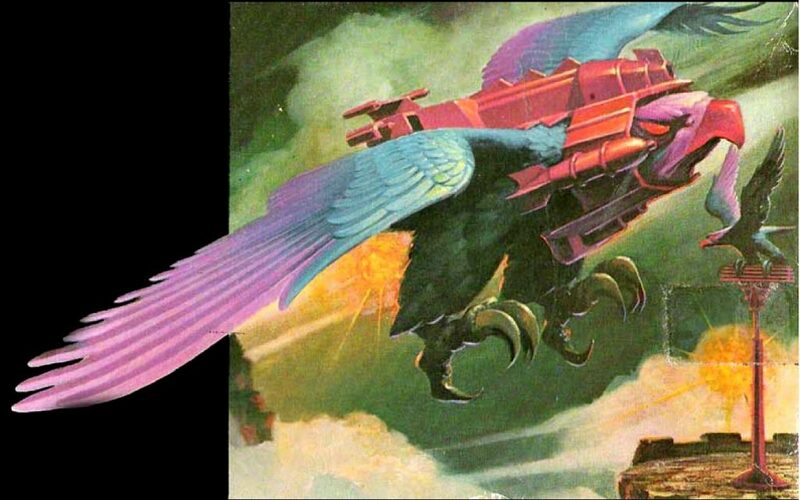 BR: In an interview with Poe Ghostal a couple of years back, you mentioned that for reference you had prototypes of the Wind Raider, Attak Trak, Screech and Zoar. Did you have any other prototypes that you used for reference? Did you also use photos or concept drawings for reference? RO: I don’t remember photographic reference. I still have some Polaroid pictures I took of the prototypes. I wish I still had all those prototypes. I moved studios 3 times so at some point they just vanished. 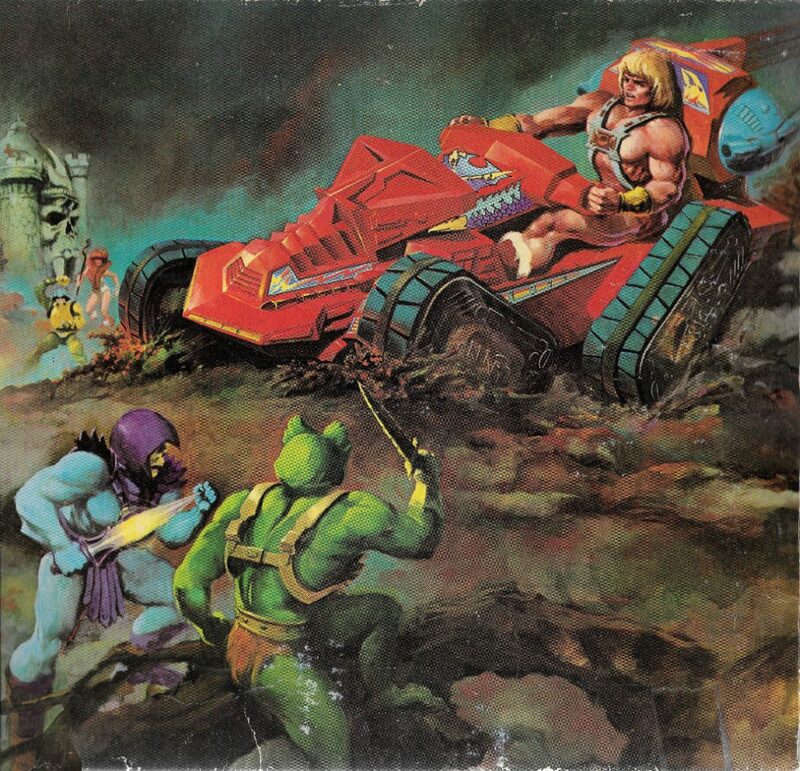 BR: Was the Battle Cat packaging illustration your first project for MOTU? What was your intention and inspiration behind that piece? RO: Yes it was. I intended to create something I would love to have for myself! The kid in me came out on that one. I think I was growling while drawing it. Eamon O’Donoghue has my original pencil sketch of that package. Battle Cat pencil sketch by Rudy Obrero. Image source and owner: Eamon O’Donoghue. 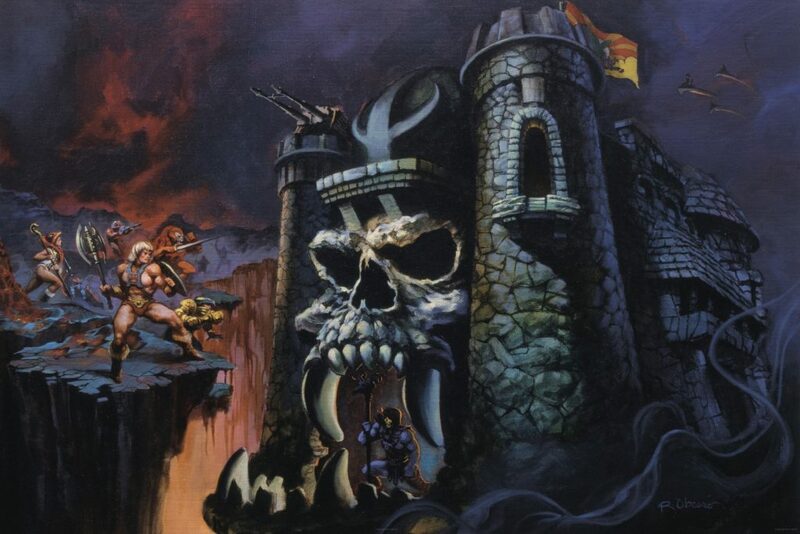 Note that in this version, Castle Grayskull has the prototype “pawn” piece on top of the castle’s helmet. 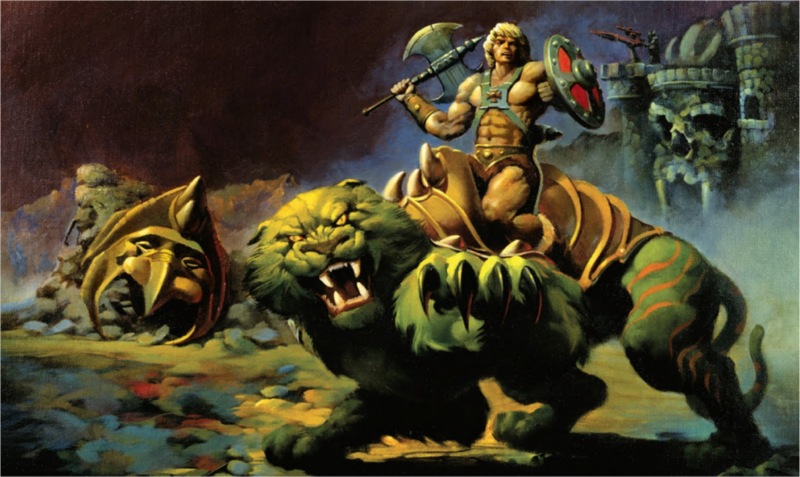 BR: For your He-Man/Battle Cat giftset packaging illustration, there is famously a scene depicting Skeletor and Beast Man riding Battle Cats. Was it the case that there was no established idea that Battle Cat was a unique character at the time? If there had been, I imaging they would have told you, yes? RO: Ha ha, yeah, I didn’t get the memo or the story line. Not sure there was one. I thought that Battle Cat was what everybody would be riding. Like horses, right? I think Mark would’ve told me if he had known the story. My guess is there was no story yet. BR: Your Battle Ram illustration is my personal favorite. What was your intention and inspiration behind that piece? 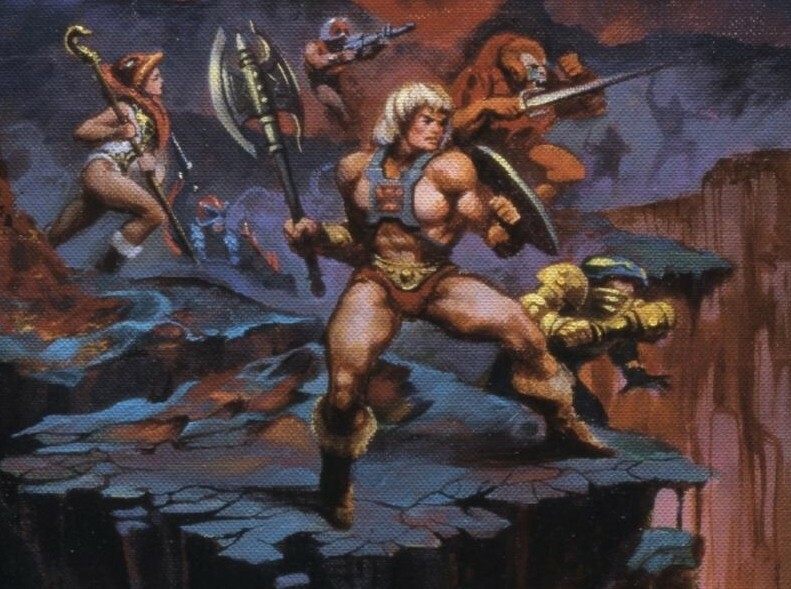 I also notice there is a barbarian figure with a horned helmet in the background, near Skeletor – was that a nod to Frazetta? RO: I could stretch the Battle Ram to make it look more rakish and powerful. Yeah it’s a cool looking vehicle. The guy with the horned helmet was just a made-up filler guy for that space. Again, “Frazetti”. 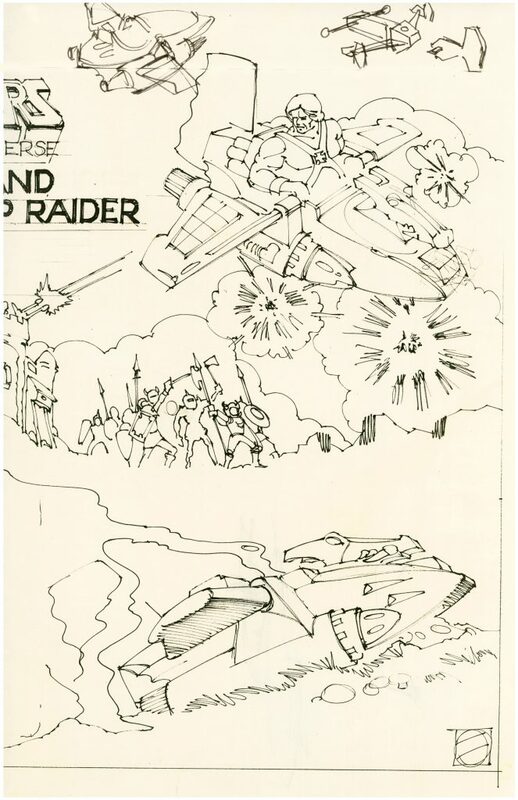 BR: In both your Battle Ram and Castle Grayskull illustrations you included flying enemy vehicles that look a bit like the front end of the Battle Ram, but with downward curved wings. What’s the story behind those? RO: My friends from high school all keep telling me that I was forever drawing air battles in the margins of my home work. To this day I don’t ever remember doing that. Even those on the packaging, unconsciously I just need to see air combat. Maybe this explains it – I was born shortly after WWII in Hawaii. I grew up just outside of Pearl Harbor. We still could find shell casings from the air war on the ground where I played. I kept imagining what it would’ve been like watching the attack on Pearl Harbor. 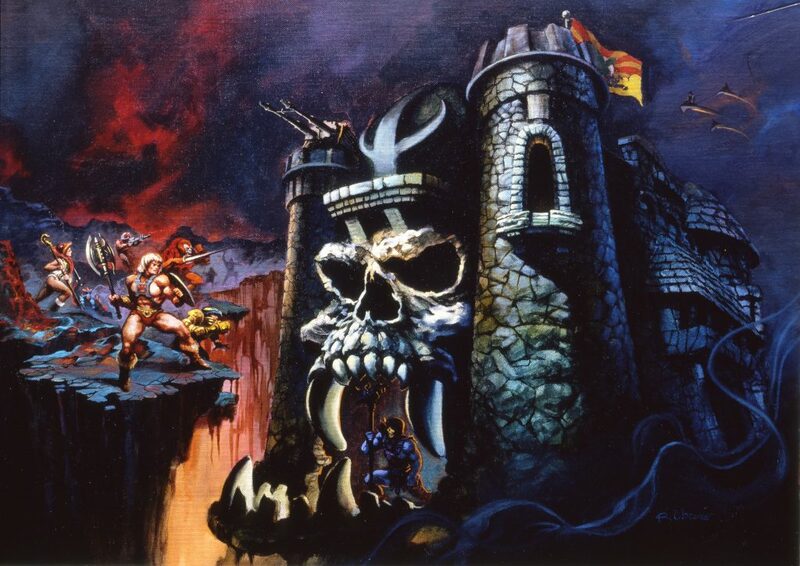 BR: The original Castle Grayskull box illustration is probably your most beloved piece for MOTU. It’s got tons of atmosphere and energy. Can you talk about how you went about composing the scene? RO: Well as an illustrator I have to work around layout constraints. IE, titles, subtitles, content, copy, bullets. What’s left is where I get to put things in. Again the fun aspect of this project is I got to do stuff the way I like it in this piece – including flying stuff that doesn’t exist. I really had fun doing this one. 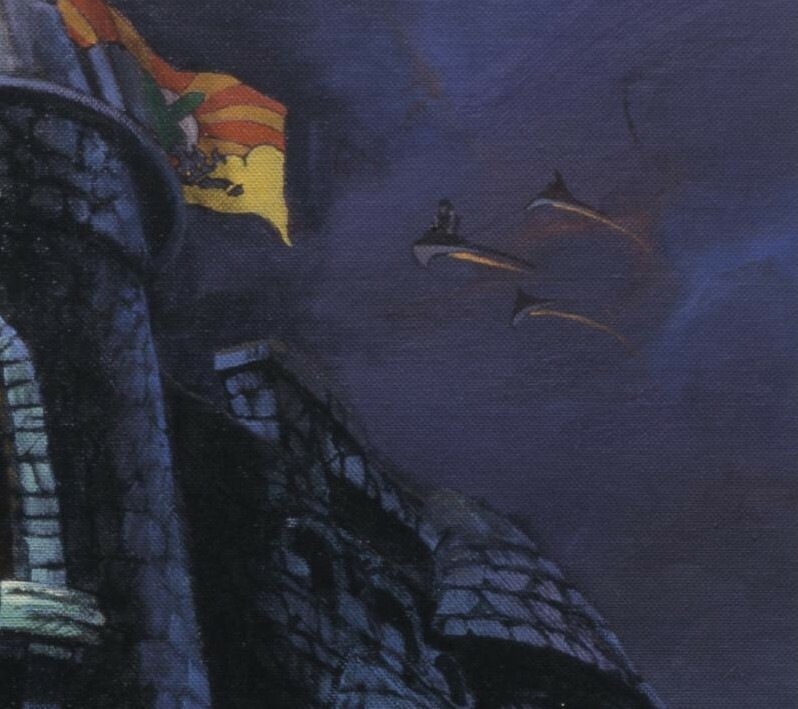 By the way, I did not know who belonged in the Castle until about four years ago. Ha ha, did not get that memo either. Another view with more vibrant colors. 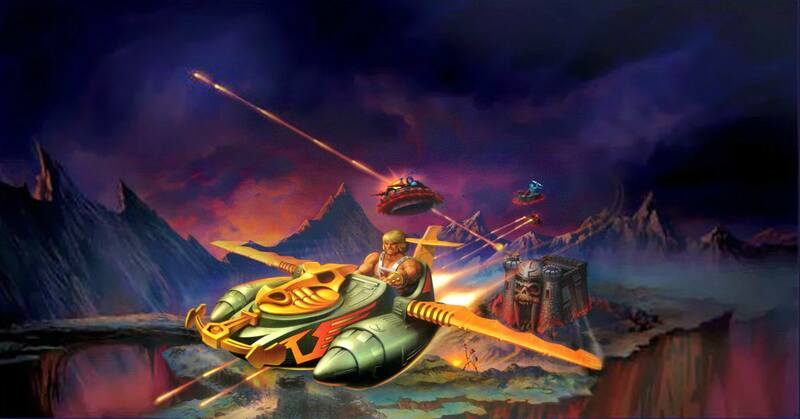 BR: You did two illustrations for the Wind Raider – one for the standalone vehicle and one for the gift set that came with He-Man. Which is your favorite and why? Did the plastic window on the gift set packaging present a challenge? BR: You’ve mentioned in previous interviews that your Attak Trak illustration was the most challenging piece. Can you talk a bit about why that was? RO: It’s the last piece I did for Mattel. I started to think the art direction came from a committee, seemed as though everyone in Mattel wanted in on package art because of its success as a toy line. These pieces were done in oil paint so changes were a pain to do. 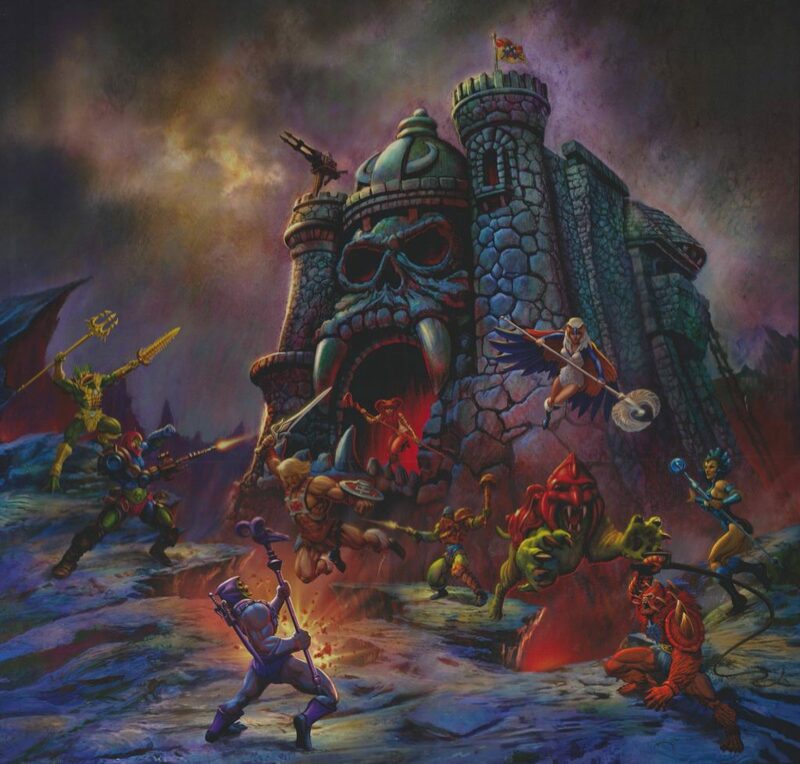 BR: Your Skeletor/Screech illustration features some of the same kinds of craggy fissure edges seen in the Castle Grayskull, Battle Ram and Zoar packaging illustrations, with a suggestion that there is lava flowing at the bottom in each of them. 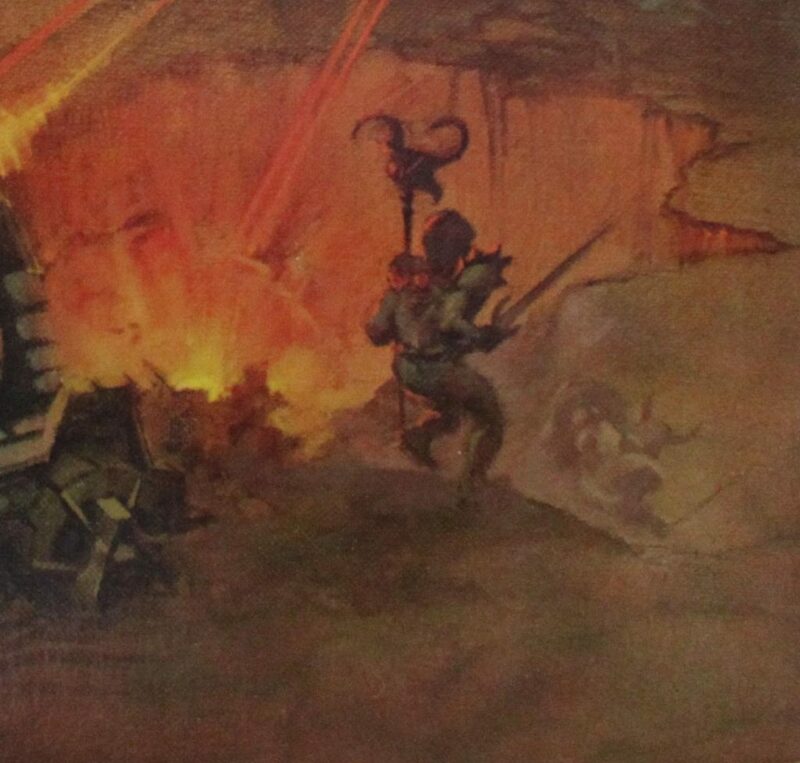 Was this your personal vision for the landscape of Eternia? What influenced you here? 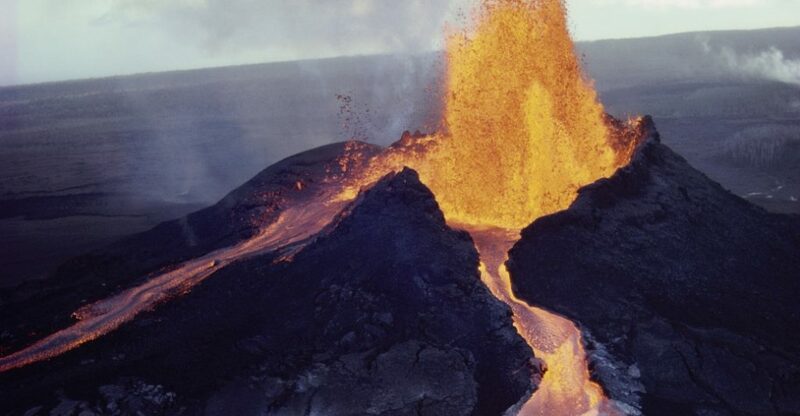 RO: If you’ve ever seen the caldera in Kilauea Volcano in Hawaii, you will feel like you’re in a totally different planet. It just overwhelms you with sense of danger. 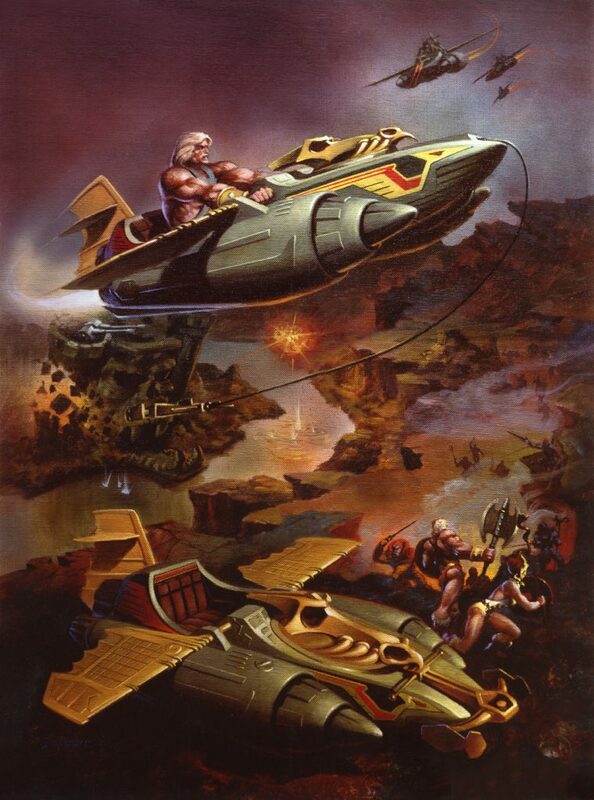 BR: You’ve done a lot of illustration work for the modern Masters of the Universe Classics line. What’s your favorite piece that you’ve done for the Classics line? What was most challenging? BR: What else are you working on now that you’re excited about? RO: Got a call to work on Roton, but that died. Snake Mountain has been pushed back. I am currently working on key art for Filmation’s Ghostbusters. I have had a long career and it’s been fun, every project has it’s own set of challenges and rewards. This was an amazing interview! I really enjoyed hearing Mr. Obrero talk about his experiences on the Roast Gooble Dinner podcast a few years back and I always find his recollection of the early days of MOTU interesting. To have his thoughts accompanied by his incredible art is just a real treat. MOTU sure has some incredible art, didn’t it? Thank you! It was a real treat for me to interview Rudy. His artwork struck a chord with me early on. It’s got so much atmosphere and mood. I’ve been collecting boxes that feature his artwork. 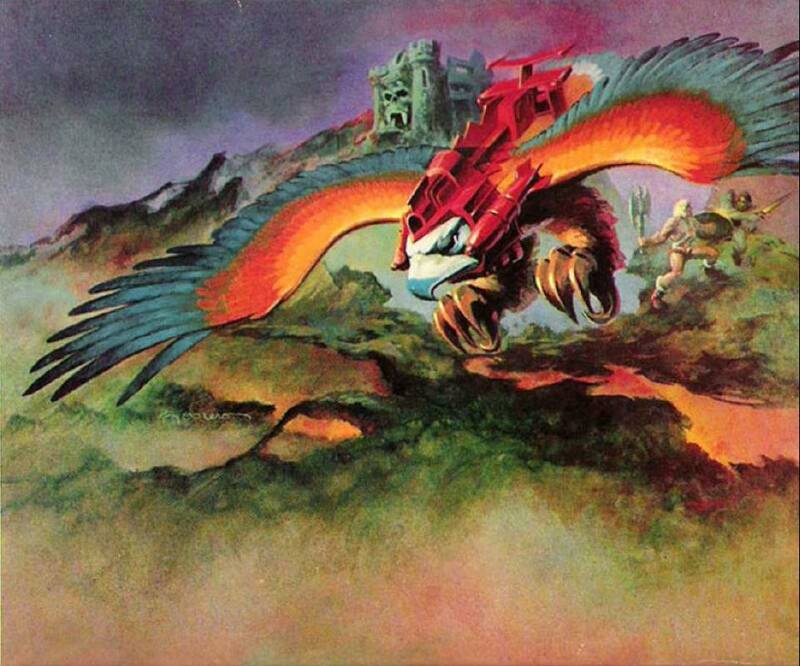 MOTU definitely has some incredible art. 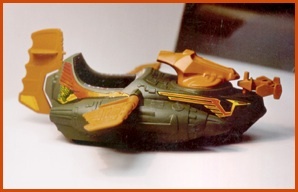 Unfortunately toys these days often just rely on product photography instead of art. Battle Ram, I am afraid that there is issue here. There was only ever one photo of the BattleCat sketch in existence and it was taken by me. The Battle Cat sketch has also had my name and a personal message from Rudy digitally removed. I am not happy about this and would like it rectified please. Hi Eamon, thanks for bringing this to my attention. I had saved this image a couple of years ago when I saw it posted on some group or other, probably on Facebook or maybe the Org. I haven’t altered it – apparently the French website maitresdelunivers.org altered the image? How would you like me to proceed? Only I posted the photo on forums including the .org so you most likely have gotten it from a post by me or quoted from me. I am little confused though as you say you downloaded the image some time ago so why would you then site a French website as the owners? 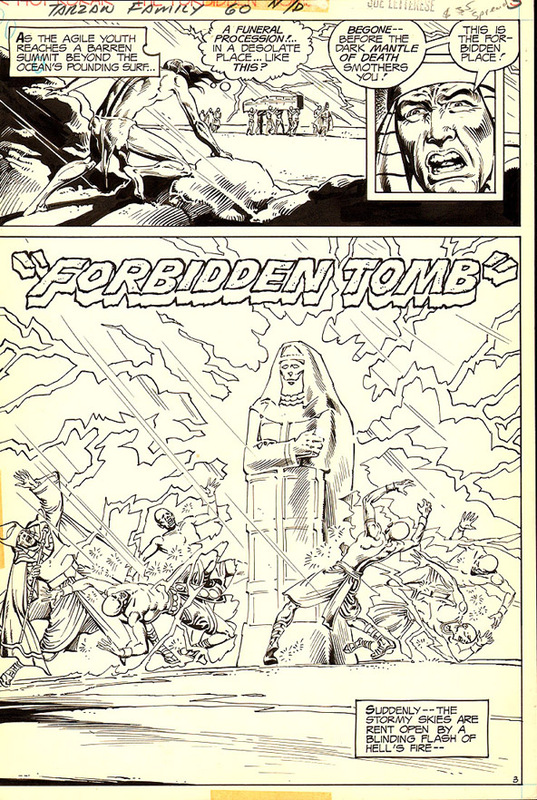 Hi Eamon, the name of the French site is plastered over the art in the only copy of the image I have, so I listed them as the source of the image (assuming someone on the Org or Facebook had originally hotlinked it from their site). Would you like me to list you as the source? Or just remove the image altogether? Hi, I’m just posting here to let everybody know that Eamon contacted me about the picture I put on my website. To sum things up, Eamon is the only owner of this art, and I didn’t edited that photo (the removal of the personal message from Rudy Obrero). I only learnt yesterday evening that Eamon was the owner after he contacted me. I got that picture as it was posted on my website minus the watermark. I put a watermark on it in order to avoid counterfeit and illegal use of it. Not to claim it as my property. This is not meant to arm or lack respect to Eamon or Rudy Obrero. I do respect them and their work. From what was said to me, this picture and a good part of all the others which are on my website (illustration sketches) came from ebay auctions a long time ago. It was told to me that the picture I used on website was from an ebay auction, and I believed it as I saw a good part of those arts on ebay years ago (spin fist hydron with Too Tall Hove, Screech, Road Ripper, Dragon Walker…) but I also received in this batch of images some others I never saw on ebay (Land shark, Battle Armor Skeletor with Panthor and Eamon’s Battlecat). 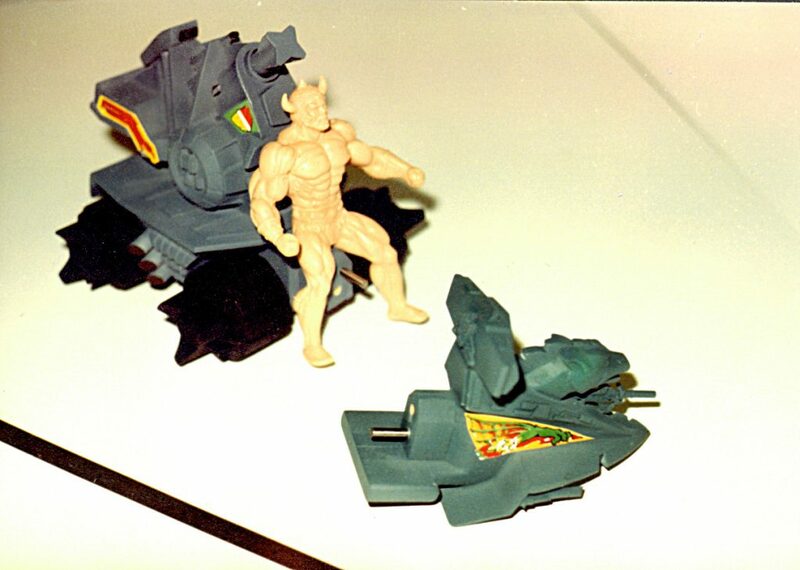 At that time I didn’t know that the battlecat one was from Eamon. If I would have known, I would have first asked Eamon for his permission to use it. I quote all the time the owners, artist and source of the content I put on my website when I have those informations. For example for the first illustration of the Manta Raider that Rudy Obrero did (the one with He-Man), I let the website address and copyright of Rudy Obrero on it. I didn’t made any modification. As for the battlecat one, I would not edit or remove a message which is a mark of respect between 2 persons. To all the readers ,this case is privatly discussed by Eamon and me, so please do not put oil on the fire with assumptions or deductions. I’m not a thief nor someone who takes the property from someone else and claiming that it is mine. Thank you for clarifying this! I’m sure neither of us expected this chain of events to happen. And of course you have no control over the actions of others. Thanks a ton, Eamon! I’ve replaced the old image with yours, and given you credit as the source and owner. Slightly cropped, but otherwise unaltered. 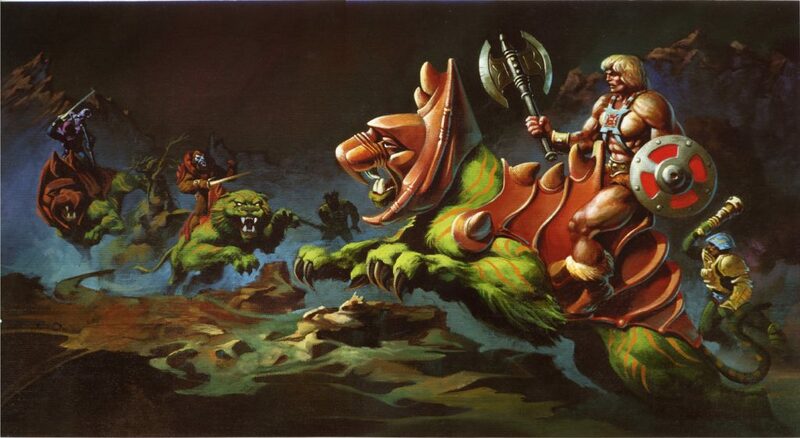 I have to say, that has to be one of the greatest pieces of MOTU art anyone could own. Very very cool! “I am currently working on key art for Filmation’s Ghostbusters.” DId I mis something? Is there anything planned? Put it this way, along with the original life action series, Dreamworks Animation owns all rights to The Ghost Busters (and I guess, still get checks for unrelated films use of the name).. I know there are rumours of stuff going on right now but I don’t know much or anything..